Down and out. That's how I have felt the past week or so. 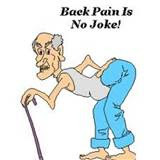 I have been in some severe upper back pain. Thought I had another herniated disk so I was just giving it some time to heal with a little ibuprofen but that pain reliever was just not touching it. I still continue to walk my 3 miles each day and go to work. Somehow walking didn't make it any worst. Sitting was the hardest. The pain just kept getting worst. I mean, at times, I feel like I'm gonna be paralyzed and other times with the pain extending to my chest, having a heart attack. So im giving the walking a rest. My husband has been great despite his own pain he endures in his knees from years of hard work. He makes sure I have everything I need and always lending a hand around the house and driving me to work at times. He is the best and I'm getting more spoiled each day. After days of agony, I finally fell to tears and went to the doctor. I just knew one of those miracle steroid shots would add instant relief and I could stop wallowing. Little did I know when I was trying to tell him what my problem was. I was wrong. I'm sure he's smarter than I am at this so I heard him out. Upon examining me and triggering the main problem areas. He diagnosed me with muscle spasms which was causing a pinched nerve. Ouch is yes. That explained the numbness I have in my left arm and hand. No comfort here. He prescribed me some muscle relaxers (me like) and Prednisone. I put that off as long as I could......A day..... I'm turning to all I can for relief now. The relaxers are great but can only take them before bed because I turn into a noodle (me like). I can finally rest at night but working during the day is a pain in the neck (you get it?). Anyhow....The doctor did grant me one of those miracle shots before I left the office but I didn't get the relief I expected. He told me it could take up to 2 weeks of healing. Really? Somehow I strained that muscle with lifting, reaching or bad posture. I have all three. So I've been a little down and out and not much fun at home or work but I believe God can heal me on his time. I just need to ride it out. But quick please. I have had that sort of pain once, and once was enough for a life time. Thank goodness mine was taken care of by my first trip to a Chiropractor. I doubt if that is your problem and would never suggest med help to someone else, but I do hope the relief becomes permanent soon. Sounds like a good man you have. I try to be. Some of us men are smart enough to know we have landed the best and want to keep them. My prayers and thoughts coming your way. Love sent from the old guy over in Belmont.